Experience the dazzling beauty of the German north as you explore the top unmissable sights with a private local guide. Day trips with guided tours to unique destinations like Cologne and its iconic Kolner Dom, the city of musicians - Bremen, the Palaces and Parks of Potsdam, and the lively town of Leipzig. Exploring Dusseldorf, Hamburg, Berlin, and Dresden are on the agenda too. Airport transfers, top centrally-located hotels, and all the planning tailored to your wants and needs included. Welcome to Germany! Upon arrival at the airport, you take a direct high-speed train to Dusseldorf. Upon arrival, you meet your driver and head for your centrally-located hotel. After check-in, the rest of the evening is free for you to start exploring the city on your own. ➤ Firebird recommends: Get an authentic insight into the brewing culture of Dusseldorf and taste handcrafted beers in 5 different microbreweries of Altstadt (Old Town). Book a 2-hour group Dusseldorf beer tour to learn why Dusseldorf Altbier is unique and popular all around the world. Please note: alternatively, you may extend your stay in Frankfurt. Please, contact your Destination Specialist for the details. Following breakfast, you walk to the station for a 30-minute train ride to Cologne. Upon arrival, you meet your private guide and start exploring the outstanding gothic Cathedral of Cologne included in UNESCO World Heritage list. Kölner Dom, as it is called in German, with its 160 meters (525 ft) height, proudly dominates the skyline of the city. You explore the cathedral's interiors, its treasure chamber and, if you want, climb the 533 steps to the top of the tower to catch the most comprehensive view over the city and the Rhine. After you stroll along the streets of the old center, meet 'Tünnes und Schäl' figures representing the original Kölsch inhabitants, see the old charming houses, historic town hall and tower. After the tour you take a return train back to Dusseldorf and walk to your hotel upon arrival. ➤ Firebird recommends: Visit Rhine Tower for outstanding panoramic views of the city's skyline. Today you check out, meet your guide and embark on an exciting journey throughout the history and modern life of Dusseldorf. You start from the heart of the city - its famous Altstadt (Old Town). Together with your private guide you stroll through the maze of little streets, discover the "longest bar in the world", learn about the early ages of Heinrich Heine, famous German poet, and admire at the gothic St. Lambertus church, the Rider statue and Rhine embankment Promenade. Your walking part ends at Burgplatz pier from where you start a panoramic cruise on the Rhine River. Your public boat ride covers the route from Altstadt to the MedienHafen and back. MedienHafen, in its turn, is a modern district famous as one of the most spectacular urban revitalization project. After the tour, you return to the hotel and have a transfer to the station for a train ride to Hamburg. Upon arrival, you meet your driver and head for your centrally-located hotel. After check-in, the rest of the evening is free for you to take rest or to enjoy the city on your own. ➤ Firebird recommends: Miniatur Wunderland: a model railway attraction in Hamburg, and the largest of its kind in the world across some 6400 meters of floorspace is definitely worth a visit. After breakfast at your hotel, you are met by your private driver in the hotel lobby and transferred to the train station. After an hour-ride, you arrive in a city of musicians - Bremen. Upon arrival, you meet your local guide and embark on a 3-hour city tour. You stroll along streets of the Old Town and discover the beauty of the UNESCO Site - the Town Hall and Roland on the Marketplace (entrances included). Before taking a train back to Hamburg, you have some free time to enjoy the city on your own and dine in one of the local restaurants. 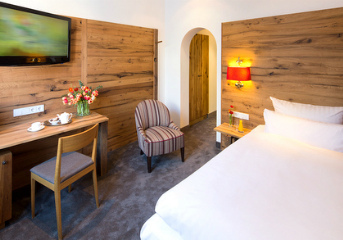 After the tour, you return to Hamburg hotel and have the evening at leisure. Following breakfast, you meet your guide and start exploring the city of Hamburg on a private walking city tour. Together with your guide, you witness the beauty of the Old Town, see tone of the most grandiose coherent historic ensembles of port warehouses in the world, included in the UNESCO World Heritage list, and also visit St. Michael's Church. Hamburg is the second largest city in the country and has a lot to offer! After the tour, you return back to your hotel and have a transfer to the station for a train ride to Berlin. Upon arrival, you are met by your private driver, who takes you to your hotel for the check-in. The rest of the day is at your own leisure to relax after the trip. You walk across the final battlefield of World War II and find out how the peculiar events surround the Reichstag. You explore the Memorial to the Murdered Jews of Europe and get the inside story behind the incredible controversy surrounding it. When passing the Berlin Wall you learn the secret history of why it went up and how Berlin was divided overnight. You also , Berlin's spectacular new government quarter and get a feel for the contemporary face of the city and its development since the fall of the Wall. After breakfast and check-out, meet your private guide and driver in the lobby to embark on a 6-hour day trip to the city of Potsdam, the former royal seat of Prussia that now boasts its UNESCO World Heritage Site. Upon arrival, you take a walk through the old town of Potsdam, admire the beautiful New Market square with the royal stables, the Old Market with the Church of St. Nicholas. Here in Potsdam you can even stroll through the Dutch Quarter or see Alexandrowka, the Russian Colony. After exploring the historic city of Potsdam, you head to the famous summer residence of the Prussian king Frederick the Great, the Sanssouci Palace and Park (audioguide tour included). You also have a chance to visit the Cecilienhof Palace, site of the Potsdam Conference, a symbol of the end of World War II and beginning of the Cold War. After the tour you are transferred to the train station for your train to Dresden, and in about 2 hours arrive at your next destination. Upon arrival, you have a transfer to the hotel. The rest of the day is at your leisure. Following breakfast, meet your private guide and embark on a 3-hour walking tour of Dresden, the splendid baroque capital of Saxony. On the walking city tour, you are introduced to the Altstadt (Old Town) and Neustadt quarter. Despite being destroyed in WW2, it has now regained its unique attractiveness with the architectural masterpieces being restored. Walking through the Altstadt, the center of city life, you marvel at such outstanding buildings as the Semper Opera House, Church of Our Lady (Frauenkirche), Dresden Cathedral and the Zwinger Palace. You then cross the Augustus Bridge to the quarter on the right banks of the Elbe - Neustadt. Here you see the Golden Horseman, the statue of Augustus the Strong (Elector of Saxony and King of Poland), and find out how Dresden became to be known as "Florence on the Elbe". You also explore the Hauptstrasse, the Baroque quarter and artisan arcades. After the tour, you can continue the exploration of the city on your own. We recommend spending some free time exploring the bohemian quarter - Outer Neustadt. This quarter, with its narrow streets, became the center of alternative culture in Dresden and is full of restaurants, bars, and craft-art shops. Today together with your guide you take a short train ride to Leipzig - one of the liveliest and dynamic cities in Germany. Upon arrival, you start a walking tour of the historic center and see the Leipzig opera house, pass the largest square of the city - Augustusplatz. Continue to the constant residence of the city administration, the New Town Hall, built in 1905 in the style of historicism. The must-visit place in Leipzig is the Bach Museum. Here you have a 1-hour tour with a local guide who leads you through the permanent exhibition. It is hard to underestimate the influence of Bach in Leipzig as he was responsible for the music in the main churches of St. Nicholas and St. Thomas, and took on a wide range of musical duties, both spiritual and secular. The cantorate of St. Thomas’s in his times had one of the leading musical positions in Germany. Then you proceed to the Market Square which is considered to be the heart of Leipzig with the Old Town Hall as a main dominant. You also get to see St. Nicolas Church before you head back to Dresden. Upon return to Dresden, you have time at your own leisure. This is the last day of your journey. Following breakfast, you check out and have a departure transfer to the train station for your direct high-speed train to the Frankfurt Airport. Visiting the Bach Museum in Leipzig.